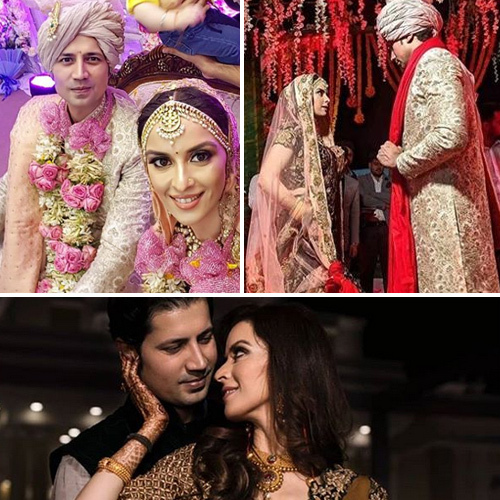 Actors Sumeet Vyas and Ekta Kaul tied the knot in a traditional ceremony in Jammu on Saturday. They both looked ravishing in their wedding attire. Ekta turned heads with her marron-coloured lehenga. She teamed it up with double dupattas - one maroon coloured and another in peach. It not only enhanced her bridal look but made her look ethereal. Sumeet also looked the perfect Indian groom in his cream coloured sherwani.